Floor stand for use with PURELL® LTX™ or TFX™ dispensers. 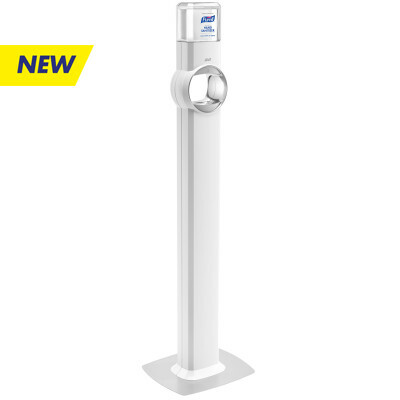 Floor stand hand sanitizer dispenser that uses PURELL® TFX™ refills. Floor stand hand sanitizer dispenser that uses PURELL® LTX™ refills. An elegant floor stand that reinforces high quality standards, while complimenting any décor. An elegant floor stand that reinforces high quality standards, while complimenting any décor. "Energy-on-the-Refill" technology - every refill has a built-in energy source, designed to last as long as the refill.